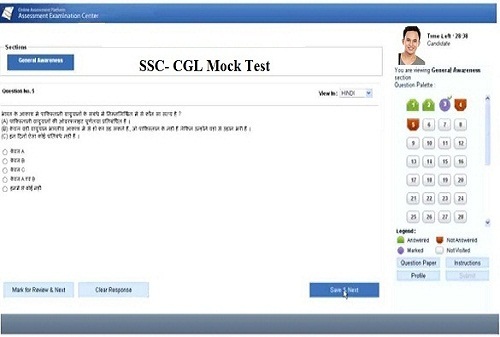 HelpU IT, Online Exam Portal is a complete system for conduct and practice competitive online examination like SSC, Bank, Railway, NET, GATE, IAS, IPS, MAT, GMAT, and other exams, etc. for your students. This portal for specially use for institutes, organizations, coaching centers, etc. This portal is 100% customization for any type your requirements with Hindi & English medium students. So start your busniss with the online exam portal at HelpU IT Service. The unlimited number of student registration. You can differentiate them by groups/ packages (i.e. SSC-Bank, Railway or IT/CS). The system will create user id and passwords for every student automatically and send it to their email id and mobile messages. You can create unlimited questions sets. You can create and conduct unlimited examinations. You can publish and view results by both student and exam wise. You can notify every student about the examinations or share study materials through this system. You can also create different users on the administrative label and provide them separate permissions for different work (for example, a data entry operator can upload student details but cannot create examinations). It will reduce the cost and time of organizing examinations. Students can evaluate themselves by giving test exams as many times as they need. It will check answers and publish results in few seconds. It is on the online platform so, no software installation required. It will reduce the use of paper which in term save trees. Connect with us to give the online exam at Online Exam Portal HelpU IT Jaipur.